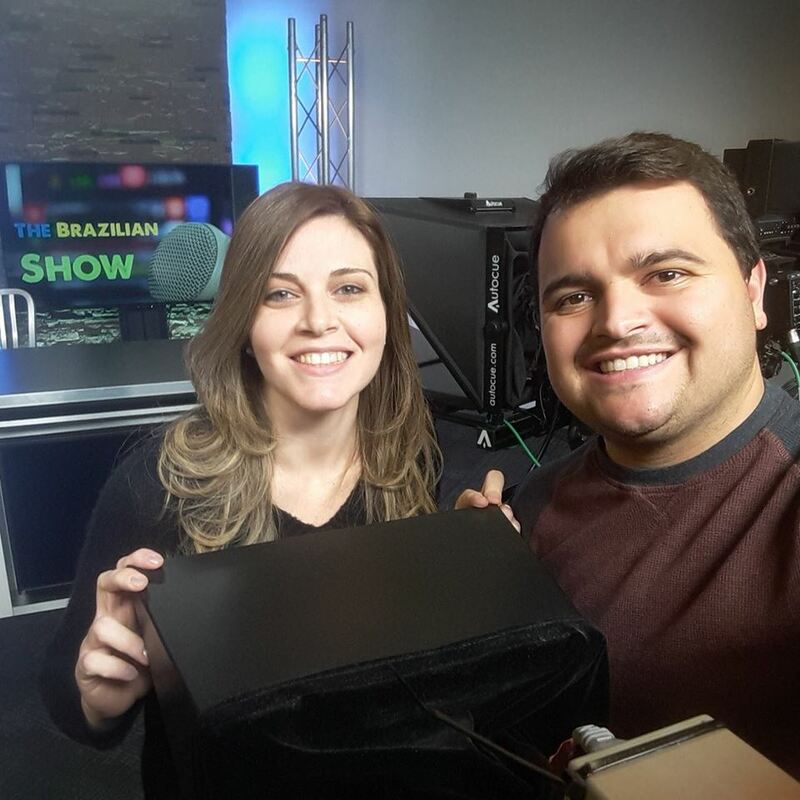 The Brazilian Show went to air on Conestoga’s radio station in August 2017 and host Bruno Sibella, an international student from the Broadcasting - Television and Independent Production program, said the show is now drawing audiences from around the globe. Broadcasting - Television and Independent Production student Bruno Sibella and his wife Izabel host The Brazilian Show on Conestoga's campus radio station, CJIQ 88.3 FM. The program airs on Saturday nights from 8:00 p.m. to 9:00 p.m on CJIQ, the college’s living lab for radio and broadcast students. Sibella agreed to host the show after station manager Brian Clemens saw potential for a new program and conceived the idea. Sibella co-hosts the program with his wife Izabel: listeners can tune in to CJIQ at 88.3 FM or listen through the station’s website. Sibella also broadcasts the show through Facebook where listeners can watch him and Izabel live in the studio. When the show started it generated just 1,000 Facebook footprints, but Sibella said a recent interview drew almost 100,000 footprints. Sibella left Brazil in 2016 to study at Conestoga. After working for a television network back home he came to the college to explore new and emerging technologies and techniques in the field. He and his wife plan to stay in the region long term and he has been appreciative of the support he's received at the college as an international student. He is one of more than 100 Brazilian students studying at Conestoga this term. CJIQ 88.3 FM, billed as the Tri-Cities alternative, serves the largest area of any campus radio station in Canada and broadcasts live from studios at Conestoga’s Doon campus. It operates 24 hours a day, seven days a week, to provide students with real-world experience. Other specialty programs include Nish Vibes, Polish Review, Serbian Radio and Latin Mix. According to Clemens, the fall Numeris ratings showed that 41,500 listeners tuned into CJIQ during a normal broadcast week. The station remains a consistent tuning choice for alternative music with male and female listeners between the ages of 24 and 54. Visit CJIQ for more information about the station. Learn more about The Brazilian Show through its Facebook page.